Planet dog took their award-winning Orbee-Tuff® material and developed a special formula designed to address the issues dogs experience as they grow older and wiser: reduced vision and snout strength, weakened jaw muscles, and brittle teeth. A bright blue makes the Old Soul Bone easy to spot, and the extra mint makes it easier to sniff out. The material is given extra pliability to offer a satisfying chew that’s easy on the gums and snout​. 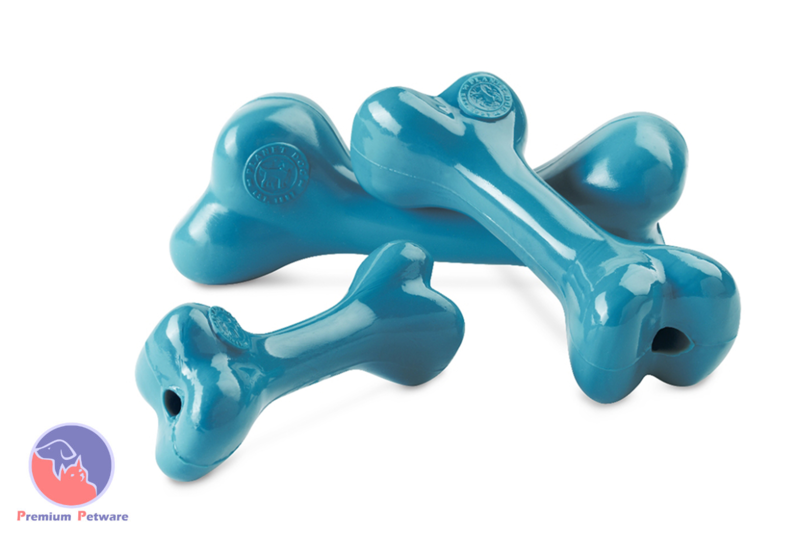 ​Rates 3 out of 5 on the Planet Dog Chew-O-Meter, suitable for moderate chewers (older dogs).